You heard of Black Friday and Cyber Monday but have you heard of Divorce Monday? Divorce Monday falls on the first business day of January (for 2017 – that’s January 2nd). For those in family law circles, Divorce Monday is dubbed as one of the busiest times of the year for divorce inquiries. The reasons for divorcing after the Holidays are plentiful. Many have found refuge under the guise of “New Year, New You!” The New Year brings with it a newfound courage to start over; interestingly enough those who take the plunge aren’t alone. The period for rejuvenation and renewal translates well for dating websites too. For example, Match.com – the country’s largest dating website – reported that on Sunday, January 3, 2016, the website saw historic numbers where a staggering 75% spike in people logged on from their phones, tablets, and desktops. 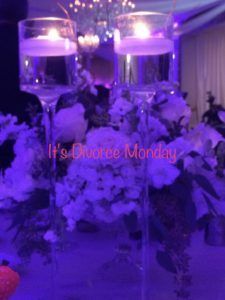 So what’s the reason behind Divorce Monday? For one, couples find it obligatory to ease the pain by mustering up one last Christmas or Hanukkah with the family. The notion of leaving your partner right before the Holidays just doesn’t sit well. Another reason, for those more along the pragmatic side, has to do with taxes. Divorcing in the beginning of the year, with the expectation that the divorce will finalize within the year, paves way for filing taxes as ‘single’ rather than ‘jointly’. Albeit there’s no “right” time to divorce. The decision to divorce requires preparation and mental readiness. As rule of thumb, you should follow these three easy steps when preparing for filing for divorce. 1. Gather Your Financial Documentation. Some of the essentials include: Income Tax Returns, Personal Property Tax Returns, Banking Information, Loan Applications, Stock, Bonds and Mutual Fund Certificates, Wills and Trusts Agreements, Life Insurance Policies, Corporate Interests Documentation. For a complete personalized list, contact us today. 2. Open Up a New Bank Account and Fix Your Credit. Open up a checking or savings account in your own name using a banking institution where neither you nor your partner has banked with before. Also, check your credit score and correct any mistakes and start building credit to set up your future Post-Divorce. Divorce is not easy and in certain situations can be quite complex, it’s important you have the requisite information at your disposal to avoid any common financial pitfalls. 3. 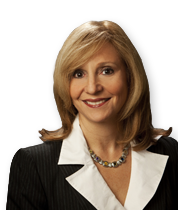 Hire an Experienced Divorce Attorney. Interview several attorneys before making a final decision and be sure your attorney has years of experience in handling divorces. It’s essential that you have a strong advocate in your corner during the entirety of the process. Bottom Line: there’s no “right” time to file for divorce but there is a right way to do it. Filing for divorce is a big decision and requires careful preparation coupled with expert legal advice.